Harvard Sophomores - Seniors interested in space instruments - here is rare opportunity to cross register for a course at MIT (16.831/12.431) in Spring 2012 (MIT: Tues. 1:00-5:00pm & Harvard: Thurs. 2:00-4:00pm) that will teach you how design and build a real space flight science instrument! 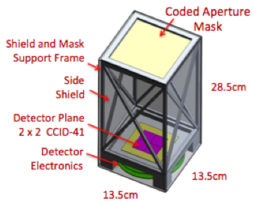 REXIS is a small (2.7kg), compact (~1 ft3 ) X-ray imaging camera with a ~30 deg field of view that will measure and image the X-ray lines (fluoresced by incident solar X-rays) which reveal the surface composition (O, Mg, Si, S, Fe, etc.) of the Near-Earth asteroid, 1999RQ36, which has a ~1 in 1800 chance of impacting Earth in 2182! 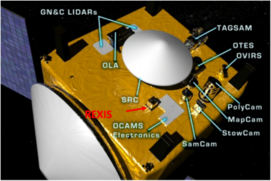 The REXIS instrument concept was proposed in 2010 by Harvard (Prof. Grindlay's group) to colleagues at MIT (Profs. 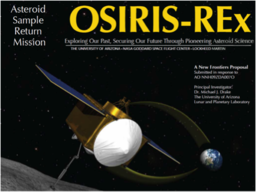 Binzel and Miller) in the Earth & Planetary Science and Aero/Astro Departments to be the student experiment, solicited by NASA for its OSIRIS-REx mission to conduct a close encounter and sample return from 1999RQ36. MIT is a Co-Investigator institution on the mission and leader in student experiments on space missions through its Aero/Astro Department. Harvard juniors and seniors from Engineering (SEAS), EPS, Astronomy and Physics are now invited. For more info, see http://hea-www.harvard.edu/REXIS or contact Prof. Grindlay (CfA, 617-495-7204, josh@cfa.harvard.edu), Dr. B. Allen (ballen@cfa.harvard.edu) or Dr. J. Hong (jhong@cfa.harvard.edu).